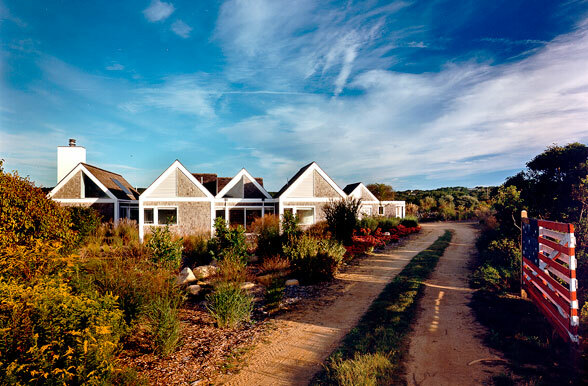 Set on the highest point of a four-acre site, this 3,800 SF house has been positioned to take advantage of the surrounding views: adjacent pond, dunes, and Atlantic Ocean. 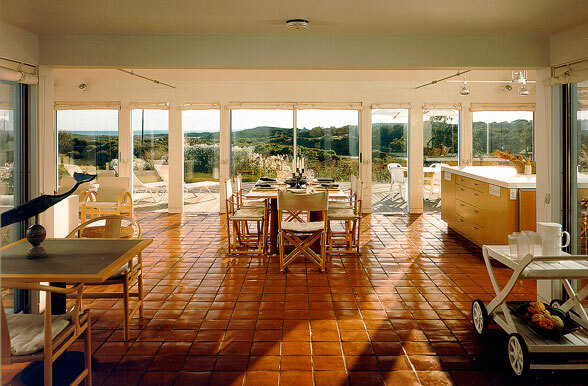 Most rooms orient to the unobstructed vista, and all have direct visual access to the adjacent gardens. Zoning criteria limited building height to 18 feet. 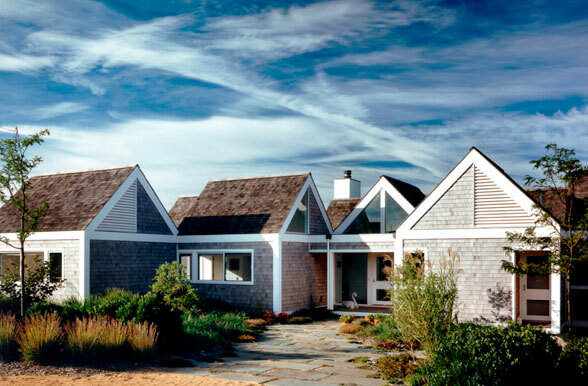 To break up the exterior mass, each major space is housed in a gable-roofed 15 x 15 foot module, and is connected to adjacent modules by a flat-roofed link. The house contains three distinct zones: the owner's suite, a two bedroom guest suite, and a common area. 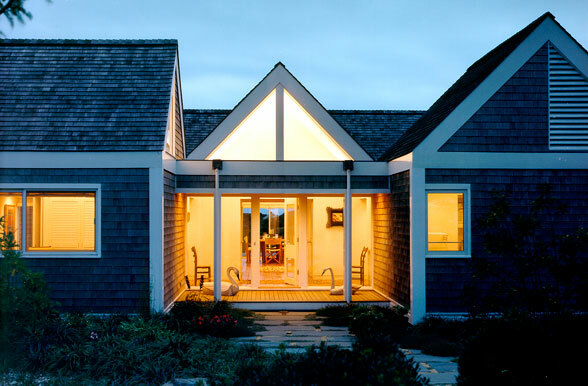 A freestanding garage and guest suite complete the composition.